The Rio Grande Valley will be in the spotlight Tuesday at the Texas Capitol as a delegation of local officials and community members will travel to Austin for RGV Day. About 200 people from the Rio Grande Valley are expected to be part of the delegation that will meet with state legislators, including McAllen Mayor Jim Darling, Edinburg Mayor Richard Molina and Cameron County Judge Eddie Treviño Jr. The trip was arranged by the Rio Grande Valley Partnership, an organization that serves as a Valley-wide chamber of commerce, in collaboration with business and community leaders. 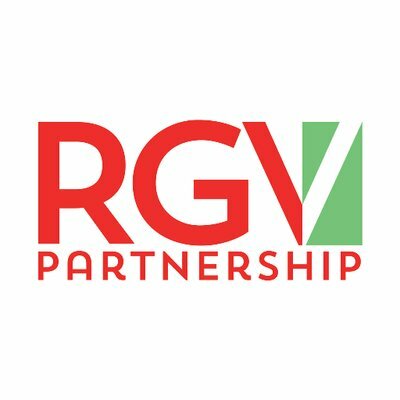 “One of the goals is to create awareness of our legislative priorities of the Rio Grande Valley,” said Sergio Contreras, president and CEO of RGV Partnership. Those priorities, he said, are to drive a public school finance reform, access to health care, support of higher education institutions, and international trade. The people in the group will divide into teams to meet with different legislators from around the state, as well as the legislators who represent the Valley. Those Valley legislators are scheduled to meet with the local group for lunch and a panel discussion. Sens. Juan “Chuy” Hinojosa, D-McAllen, Eddie Lucio Jr., D-Brownsville, and Judith Zaffirini, D-Laredo, are expected to take part in the luncheon. The participating state reps. include Armando “Mando” Martinez, D-Weslaco, Eddie Lucio III, D-Brownsville, Ryan Guillen, D-Rio Grande City, Terry Canales, D-Edinburg, Sergio Muñoz Jr., D-Palmview, R.D. “Bobby” Guerra, D-Mission, Oscar Longoria, D-Mission, and Alex Dominguez, D-Brownsville. “ We are encouraged that our Valley legislators are on key committees assigned by the lieutenant governor and the speaker of the house that places them in a position to support the RGV and the state of Texas,” Contreras said. Earlier in the day, resolutions recognizing the RGV and the area’s accomplishments will be heard on the House floor and then the Senate floor. Hinojosa specifically noted the growth of the University of Texas Rio Grande Valley. “ We have a great story to tell about UTRGV, the growth of the medical school and the Rio Grande Valley,” he said. The delegation will meet with legislators from across the state in addition to the ones who represent the Valley, Hinojosa said. Among the hopes and expectations for RGV Day is that outsiders learn about the positive aspects of the area. “ When people come visit the Valley, they are startled by what they see,” Hinojosa said, adding that people are drawn to visit the Valley in the first place because of rhetoric of violence on the border. A group of legislators from across the state toured the Valley about a week ago to hear about local needs in education and health care. “ They were pleasantly surprised,” Hinojosa said. This RGV Day will be different than when it was held during the last legislative session in 2017 because of the progress the Valley has made in terms of jobs and more opportunities in workforce, Hinojosa said. But leadership has also set a different tone this session, Hinojosa said, focusing less on cultural issues and more on health care, education, and Harvey recovery.